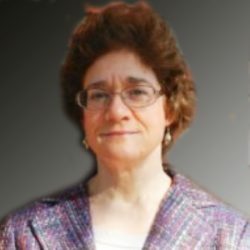 Deborah provides medical writing, editing, and research services to a range of government agencies, nonprofit groups, medical communication agencies, pharmaceutical companies, and professional societies. She has expertise in abstracts, peer review summaries, advisory board (ad board) summaries, meeting minutes, conference summaries, journal manuscripts, and literature reviews. She specializes in oncology, non-malignant hematology, nutrition, and mental health (including substance abuse). She also has experience in health economics and outcomes research (HEOR), medical devices, pharmaceuticals, precision medicine, obesity, rare diseases, and pediatrics. Dr. Berlyne has written more than 400 meeting summaries for federal government agencies (including the National Institutes of Health), pharmaceutical companies, and nonprofit organizations. She has also produced numerous white papers and medical journal manuscripts. She has extensive experience revising and editing journal manuscripts written by others. Dr. Berlyne is particularly skilled at conveying complex medical concepts to patients and other lay audiences.